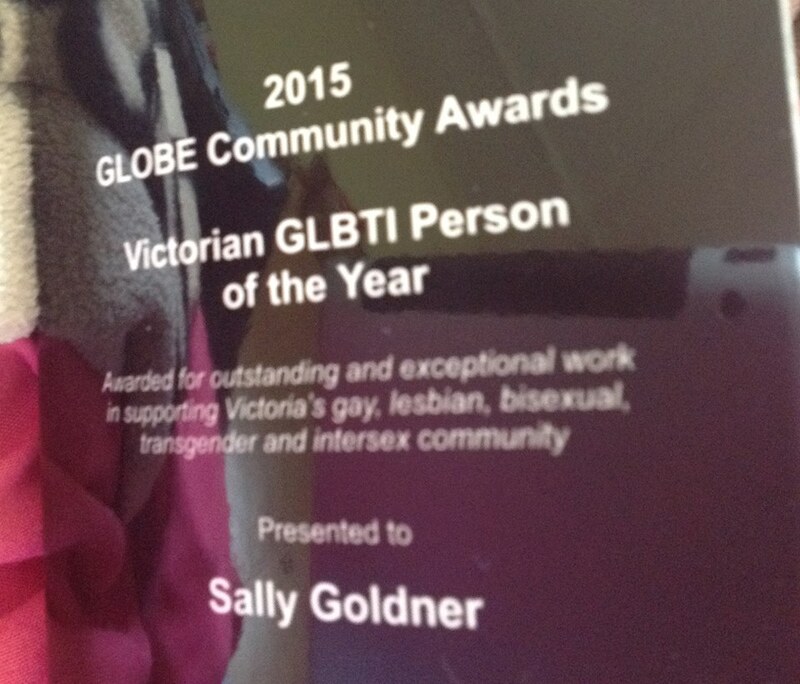 Congratulations Sally Goldner – Victorian LGBTI Person of the Year! Congratulations Sally Goldner from all at the Anti-Violence Project for your well deserved GLOBE award as the Victorian LGBTI Person of the Year 2015! We’ve enjoyed a long, friendly and productive association with you and look forward to many collaborations together in the years to come! Many highlights for me, however Sally jumped in with gusto during our landmark IDAHOT series of events in 2010. That year’s event sparked many years of activities by hosts of people and organisations. It wouldn’t have been the same without Sally joining Scott Davis, Zoe Dunbar and myself to be the collective catalysts.